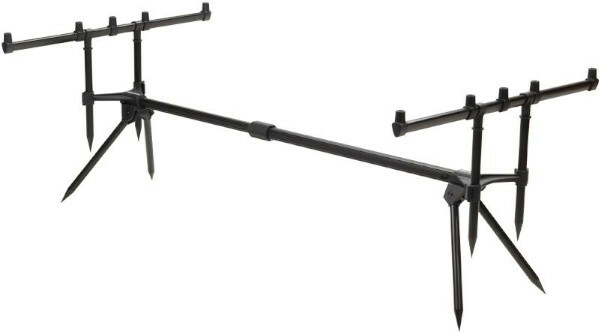 This rod pod from Prowess is quick and easy to set up. The lightweight and compact design features a telescopic central bar and is perfect for fishing with 3 or 4 rods. The buzz bars can be easily adjusted in height for the perfect set up. The rod pod only weighs 1.6 kg which makes transport very easy. Including practical carry bag.